There is something truly special about a glass backsplash, and the following are five of the top benefits of glass tile backsplashes that you can enjoy in your home. It’s green; glass is 100 percent natural, and many tile varieties are made from recycled glass which further enhances their environmental friendliness. 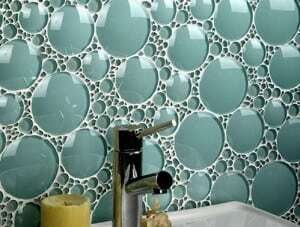 Glass tile can be used to create fabulous patterns. This allows your creativity to run wild as you mix and match tiles to create the perfect pattern for your home’s decor. Our staff would be glad to discuss the many benefits of glass backsplashes with you. We encourage you to contact us at Conestoga Tile today with your questions, and we will be happy to help you design the ideal backsplash for your home.